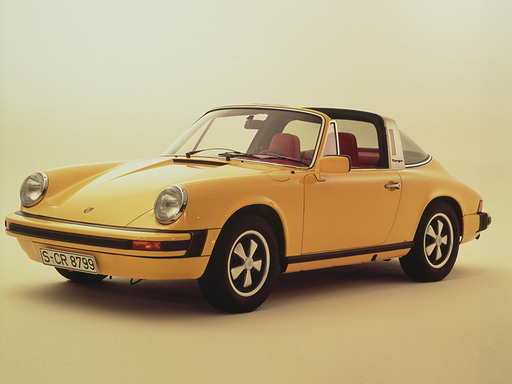 For model year 1974, the body design of the Porsche 911 was comprehensively redesigned for the first time. 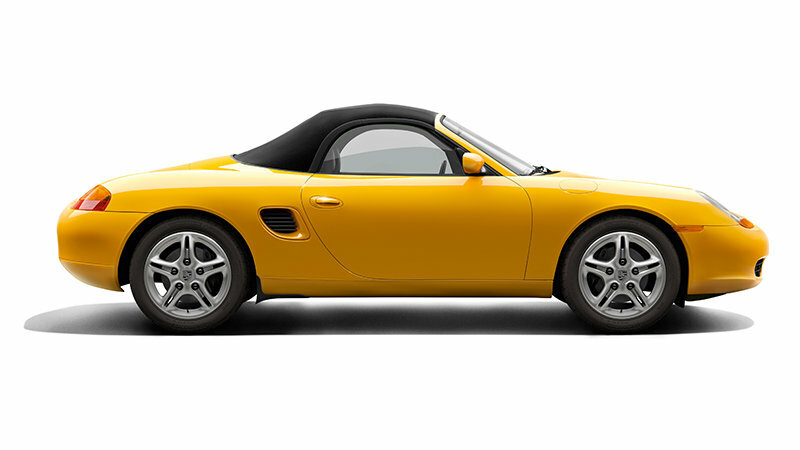 In addition to a Coupé and a Targa version, a Cabriolet was also available as of model year 1983. 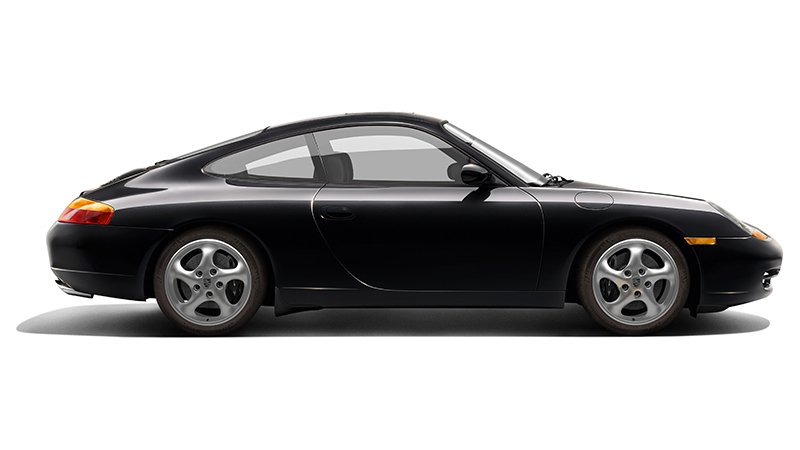 The most striking feature of this 911 generation is the raised bumper design with black plastic bellows. 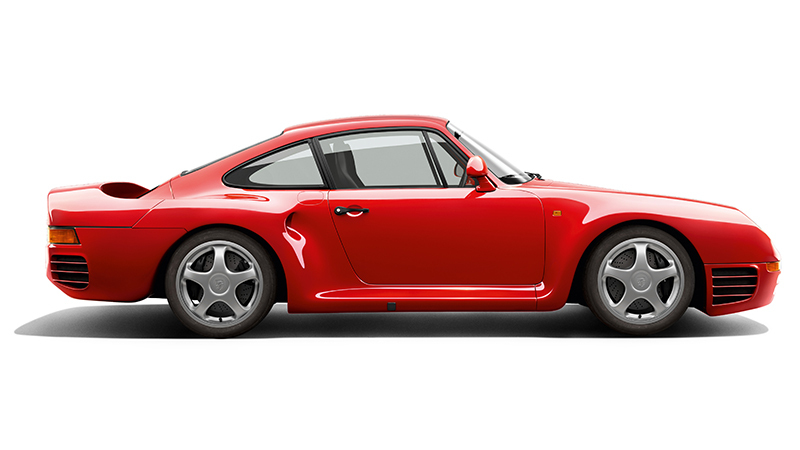 Between the tail lights of the G models is a red panel and a Porsche logo that is red or black, depending on the model year. The rear number plate is flanked by two large rubber buffers with integrated number plate lighting. 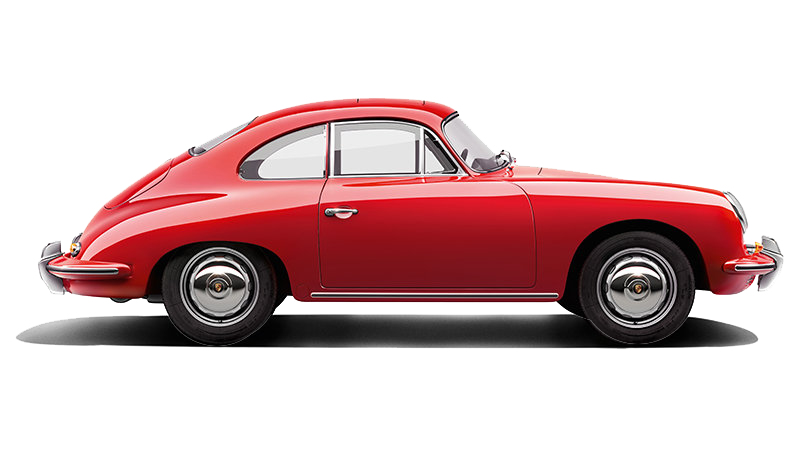 The raised bumpers with bellows of the G models were the result of more stringent approval regulations in the USA. 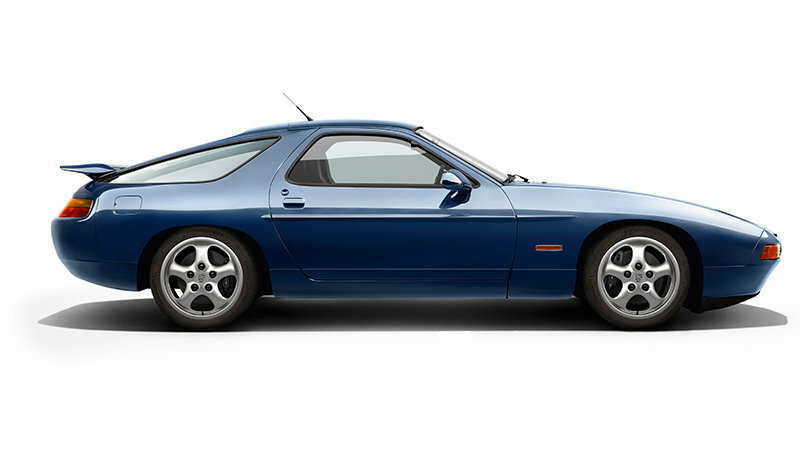 With the introduction of these regulations, bumpers had to be able to absorb impacts as a result of hitting a fixed obstacle at speeds of up to 5 mph (8 km/h) without damage to the body. To meet this requirement, vehicles for the US market had the bumpers connected to the body using hydraulic impact absorbers. For models not intended for the US market, more cost-effective impact pipes were installed instead of these hydraulic impact absorbers. These had to be replaced after a rear-end collision. However, the impact absorbers could be ordered as optional equipment. 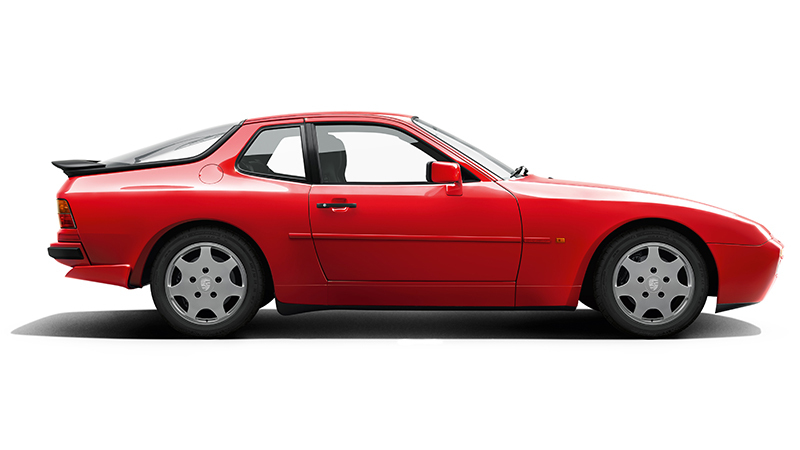 The 911 and 911 S had chrome-plated window surrounds and door handles. 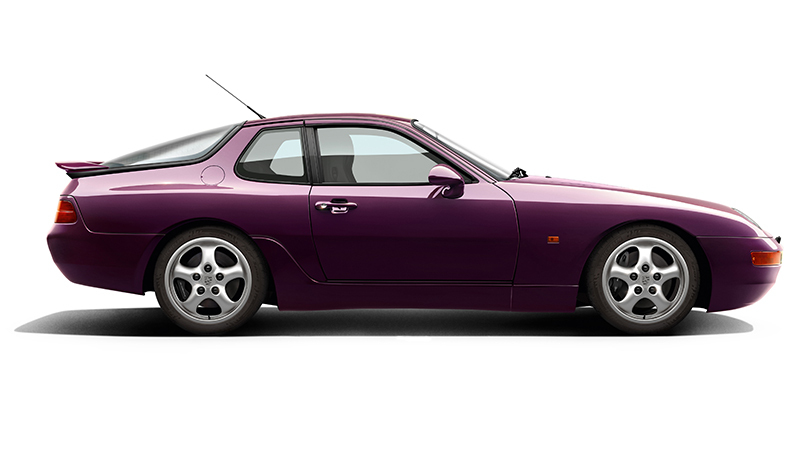 The 911 and 911 S were fitted with 15" cast aluminium wheels from ATS as standard. 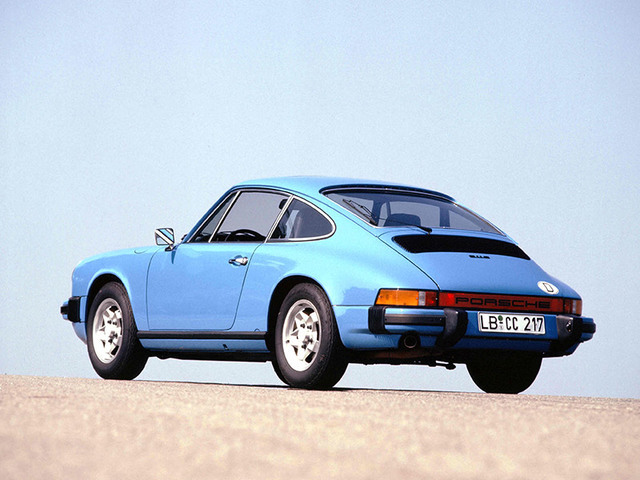 The standard 911 model had chrome-plated exterior mirrors until MY 1975. As of MY 1976, larger, electrically adjustable exterior mirrors painted in the exterior colour were installed. 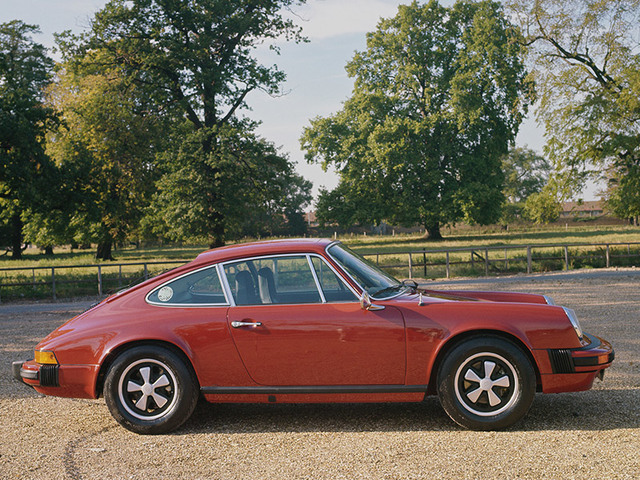 The 911 S only had chrome-plated exterior mirrors in MY 1974. 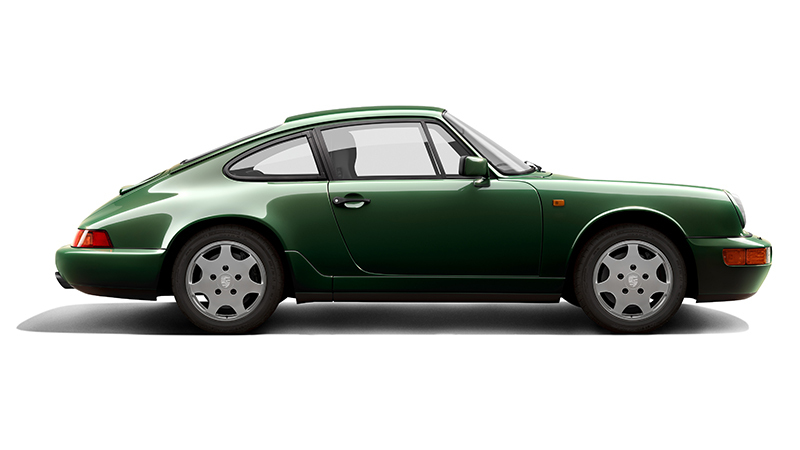 The standard 911 model had a flat-six engine with a displacement of 2.7 litres. This initially developed 150 hp and 165 hp as of MY 1976. 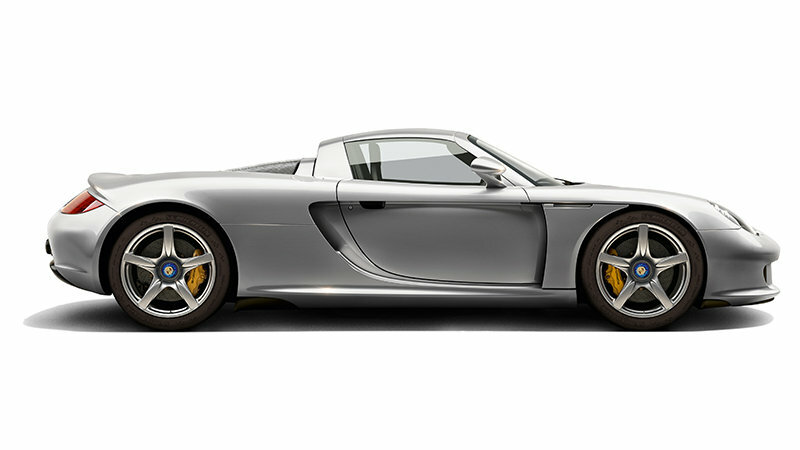 The engine of the 911 S delivered an output of 175 hp. 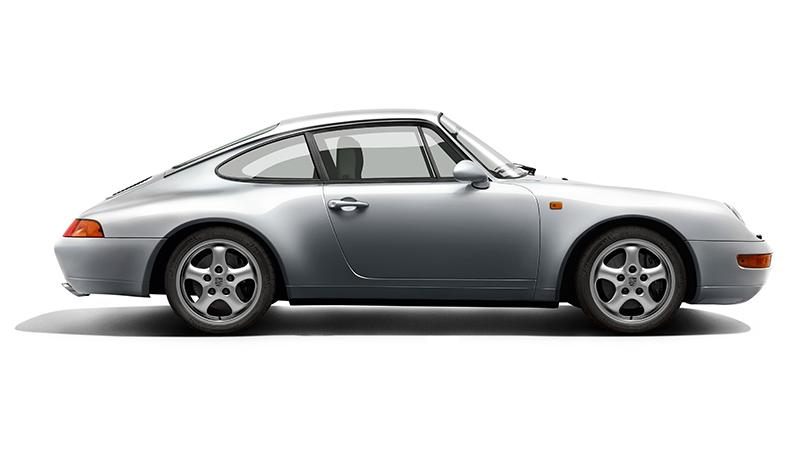 The headlamp rings of the 911/911 S were chrome-plated.